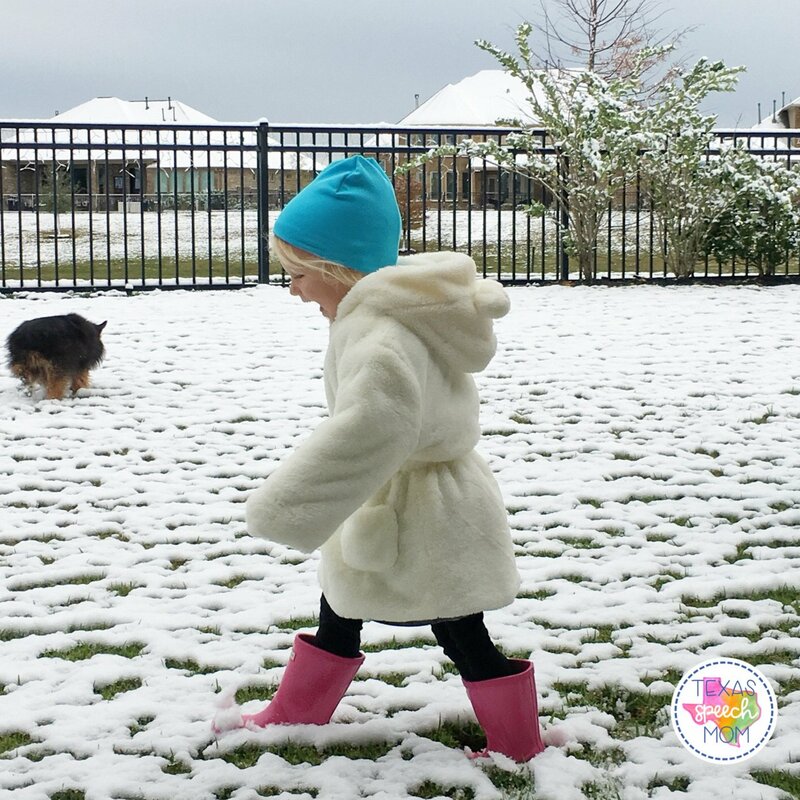 Last week, Houston was lucky enough to experience a very unusual (and very brief) day of snow! I was so excited to share this with my daughter and let her see, touch, and even taste the snow (due to the amount of face plants she had). She has seen snowmen in all of the books we read, but letting her see it in person was so much fun! 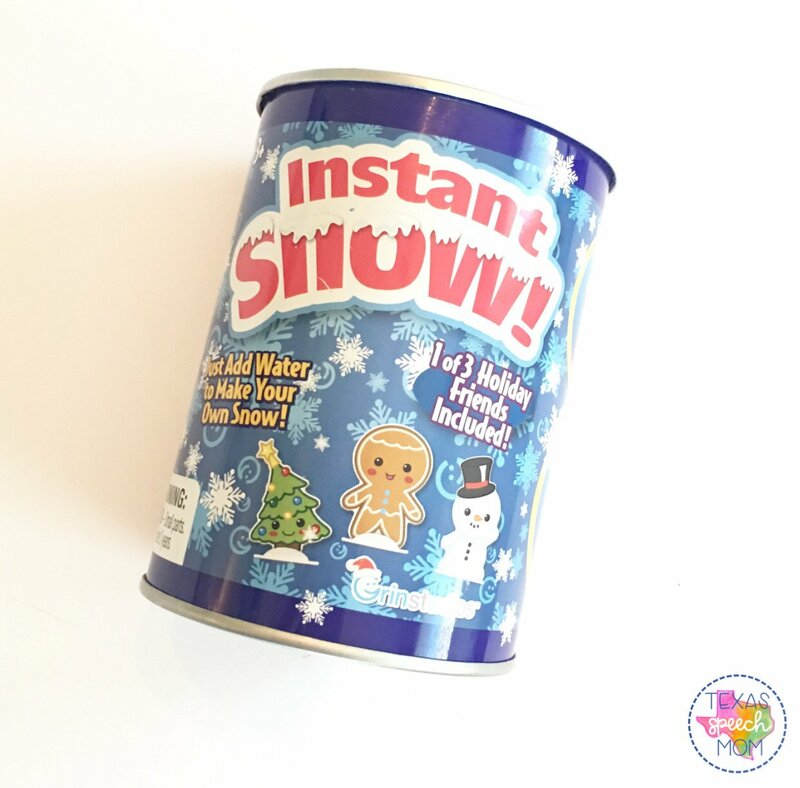 The other day I was walking through Target and spotted a can of “instant snow”. I figured it was worth a try and I am so happy I did! 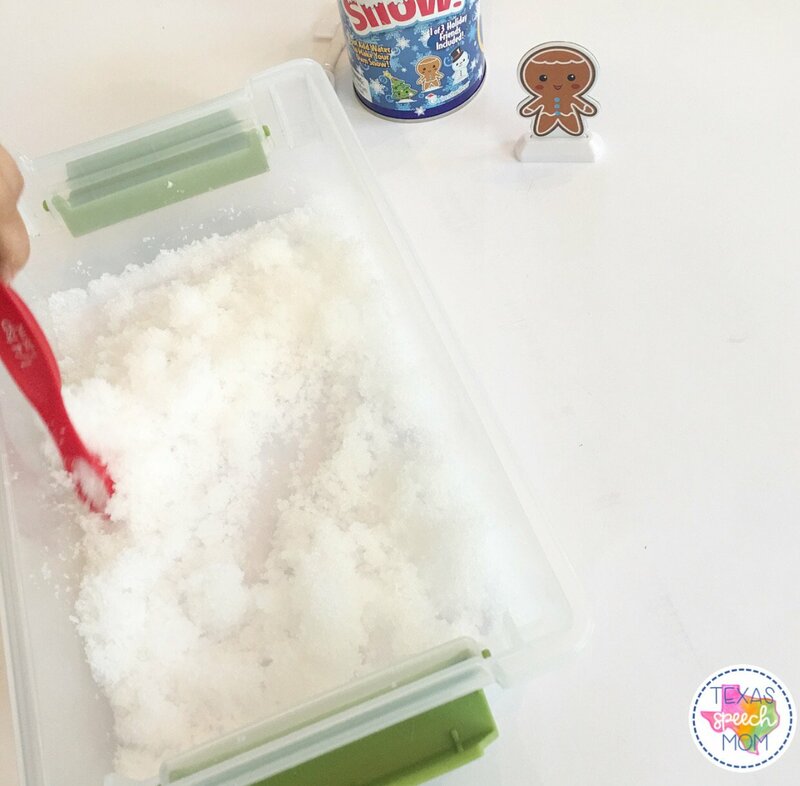 I will say, there are several posts on Pinterest about how to make homemade snow that we will have to try eventually. The reality is that we just didn’t have the time! Before we started, I took my daughter into the kitchen and told her what we needed. When introducing new vocabulary (like “measuring spoon”), I make sure to not only tell her the word but to also show her where to find it. I opened the drawers and said “We need the yellow measuring spoon”. She obviously is not old enough to understand 1/4 tsp vs 1 tbsp so using “colors” was an easier way for her to hear words she knew and understood. Then I told her we needed water and asked where we could find it. Finally, we grabbed a plastic box and headed to the table. This was a great activity because it only involved 3 steps. 1) 1 “spoonful” of powder. 2) 1 cup of water. It is definitely “instant snow” because it started to fluff up instantly! She loved the immediate reaction and wanted to touch. 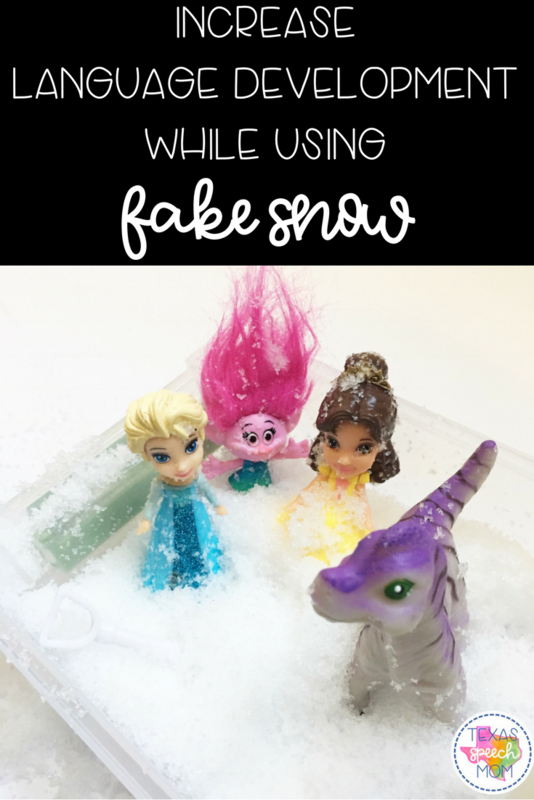 We talked about how it wasn’t as cold as the “real” snow and that this was “pretend” snow. She also loved how “soft” and “wet” it felt in her hands! Prepositions are words that describe a location, such as “in”, “on”, “under”, “in front” etc. First, toddlers learn to understand these words before being able to use them on their own. Prepositions are crucial for children to learn because they will not only help expand their sentence length, but teach them to answer “where” questions. Think about how many times you ask your child “Where is your jacket?” or “Put that on the table”? Learning prepositions also will enable your child to retell stories or explain events in greater detail. 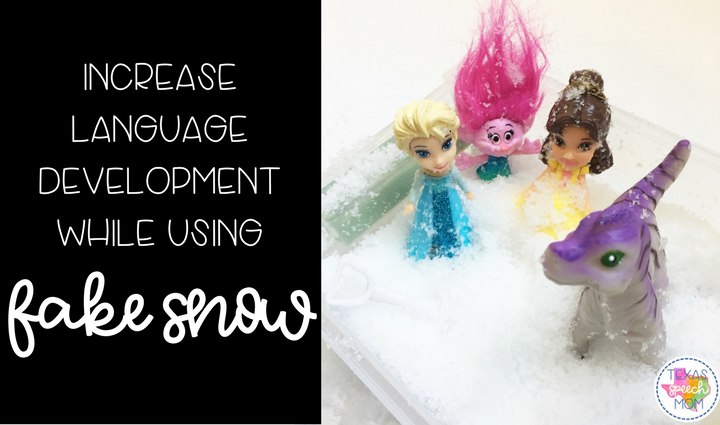 A wonderful way to work on prepositions is through PLAY! 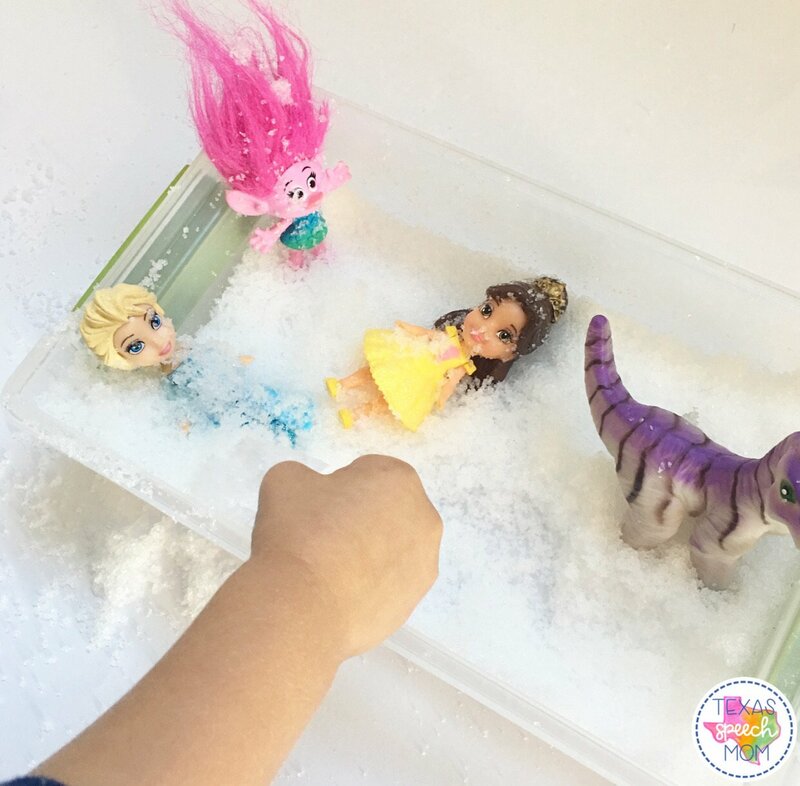 So we grabbed our favorite crew (Elsa, Belle, Poppy, and some dinosaurs) and acted out several scenes! 1. Put ALL of the toys IN the box. 2. Take two toys OUT of the box. 3. Have a toy dance ON the edge of the box. 4. Have the toy jump OFF the edge of the box. 5. Bury a toy UNDER the snow. 6. Stand the toys up in a row. Talk about who is BEHIND the toy and who is IN FRONT OF the toy. 7. Pour snow ON TOP OF the toy. 8. Bury a toy and talk about how it is at the BOTTOM OF the box. 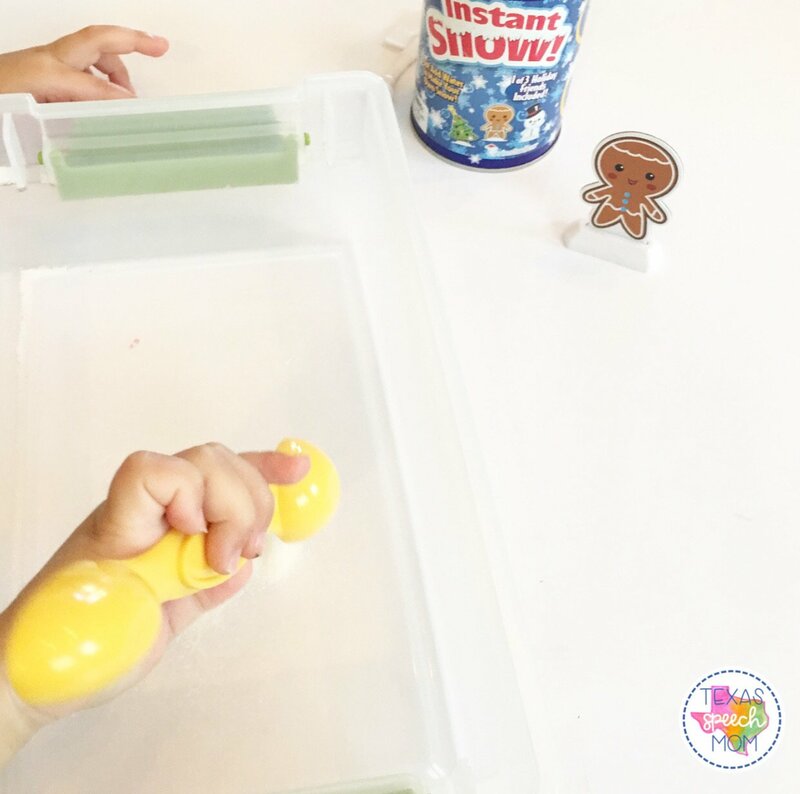 Another fun suggestion is to use smaller items (such as mini erasers) and have your child dig for them. They can word on fine motor skills by using tweezers or a spoon. Sort by similarities: all of the Santas together, all of the snowmen together, etc. Use as a counting activity and count how many they can find. Use as a color identification activity and talk about the colors of each item found. 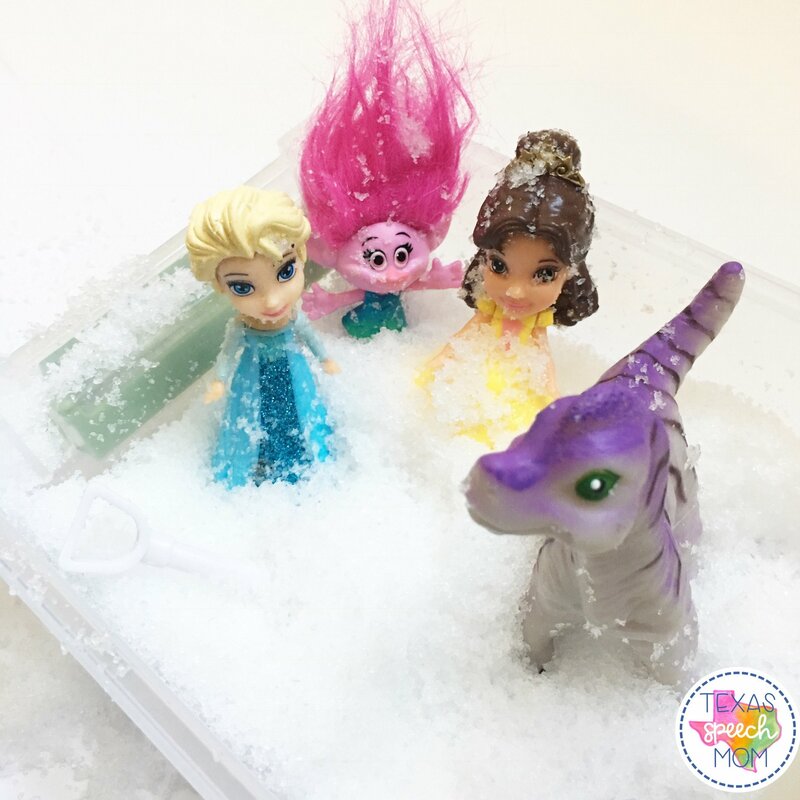 If you get a chance to play with some fake snow, please reach out and let me know how it goes!! I love to hear from everyone. 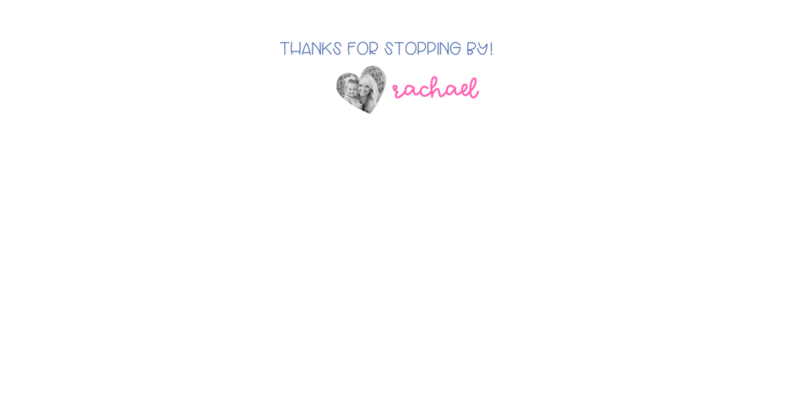 Follow along with my Instagram and Facebook accounts!! Don’t forget to pin the image below for future reference! 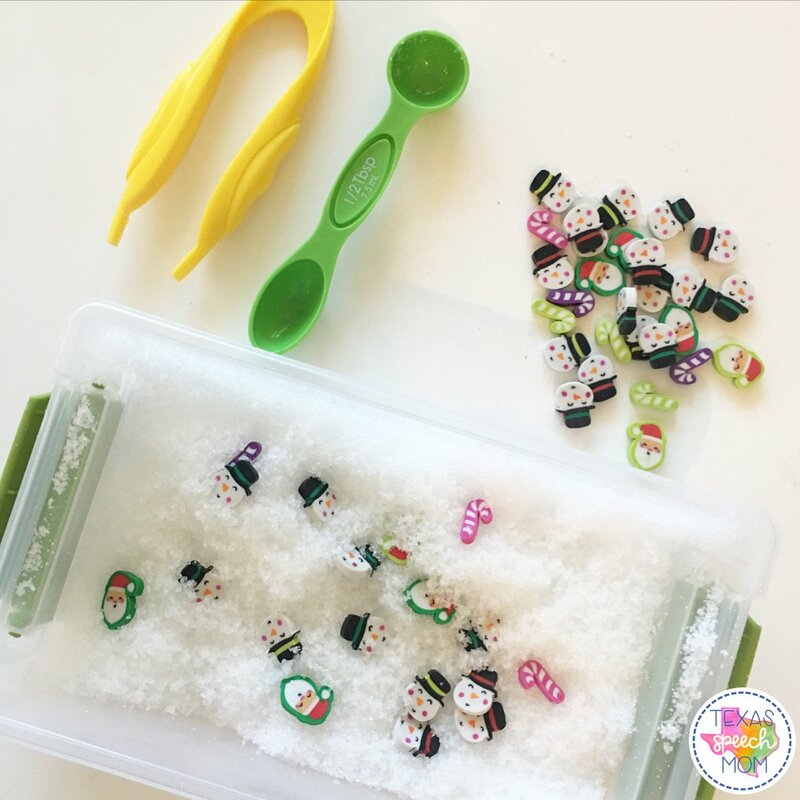 If you are looking for other fun crafts during the holiday season check out my other post! 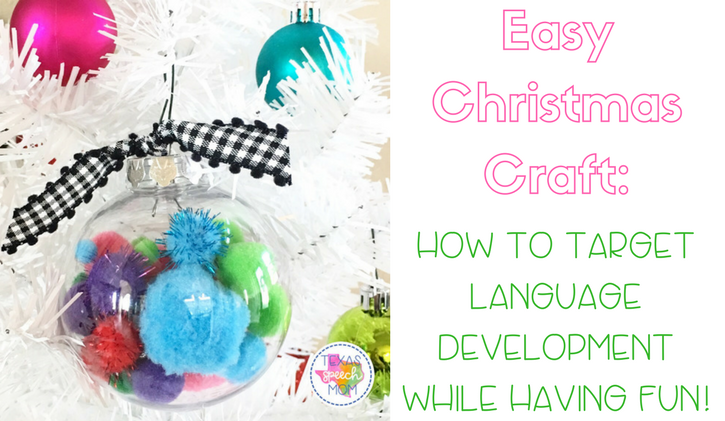 I share ways to increase speech and language skills while making a Christmas Ornament!